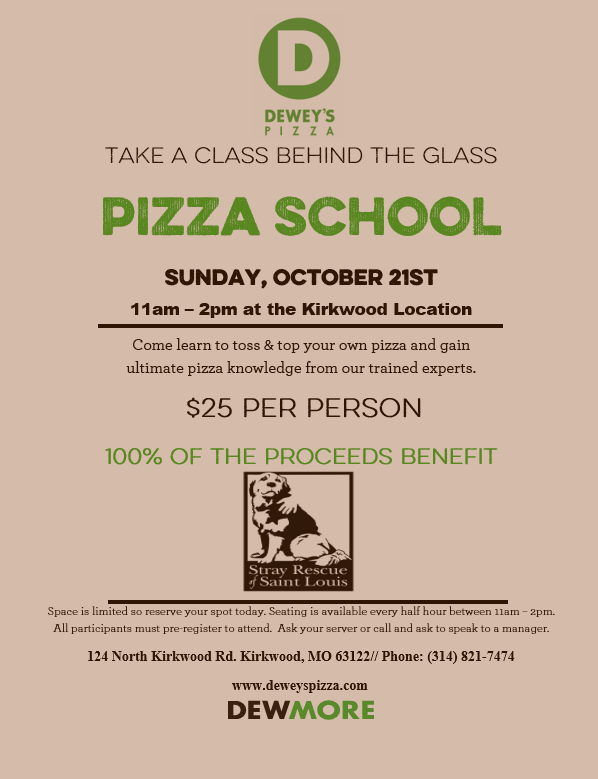 Come learn to toss & top your own pizza and gain ultimate pizza knowledge from our trained experts! Space is limited so reserve your spot today. Seating is available every half hour between 11am - 2pm. All participants must pre-register to attend. 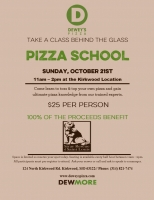 Reserve your spot today by calling (314) 821-7474 and ask to speak to a manager!